Moogfest weekend will be fun-filled starting with a PATIO PARTY Friday and Saturday afternoons on the 1st floor patio. 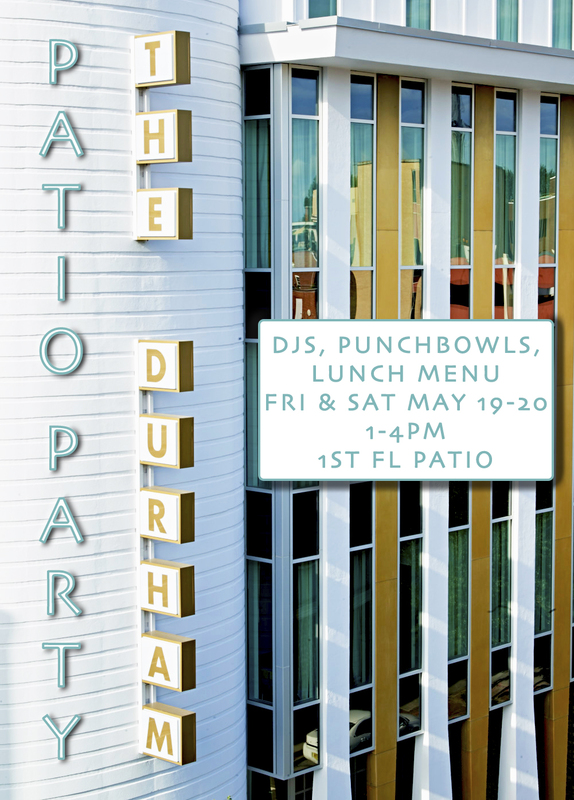 DJs, punch bowls, and our lunch menu extended until 4pm. Sunday, DJ PlayPlay is back for Disco Brunch in the restaurant 12-3pm and The Beast rounds out the weekend with jazz and hip hop on the roof 5:30–8pm.